Winner of the 2016 Costa Award for Biography. Blending personal memoir, biography, and World War II military history, the author tells the story of her extraordinary father, from his time as a daring British Special Forces operative in WWII, to his chaotic personal life and eventual decline. ...[an] extraordinary blend of personal memoir, biography, and World War II military history ... Dadland brings to mind Helen MacDonald's H is for Hawk in the way it soars off in surprising directions, teaches you things you didn't know, and ambushes your emotions. It's a similarly fierce and unconventional book that defies categorization to explore mortality, loss, life decisions and influences through a daughter's intense bond with her father ... Carew puts her father's larger-than-life heroism in perspective by interspersing vividly intense war scenes with glimpses of his increasingly disoriented later years and frequently hilarious flashbacks to her childhood ... beguiling, de-mythologizing homage as an irrepressible firebrand. Carew juxtaposes deep and recent past with ease, nesting the intimate into the political. She ranges from her father’s friendship with William Colby — the CIA head who died in a 1996 canoeing accident that many considered suspicious — to hilariously misguided capers ... Her father laughs hard and weeps often, for his lost past, his lost self — a bereavement we all recognize, or will. 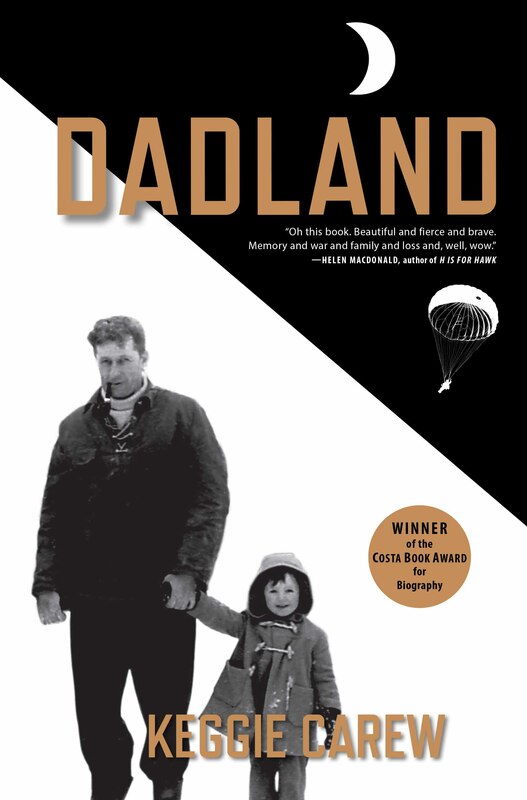 Part memoir, part biography, part military history, Dadland is also a lovingly unconventional elegy for a generation. Dadland is part family memoir, part history book, and is compelling and moving from start to finish ... She brings the wartime sections to life by drawing on a remarkable facility for description ... There’s a risk, in a book that aims for a general readership, that the historical sections will weigh the narrative down, but Carew leavens them with flashbacks to her unusual childhood, research into her complex family history and incidents — often comic, sometimes heartbreakingly poignant — from her father’s later life ... [a] funny, fascinating and unflinching tribute. What did you think of Dadland?